Enchant everyone around you with a ravishing makeover when you choose this bold and beautiful Revolting Red Raw Silk Embellished Kurti Tunic with Ban Collar and Full Sleeves, a statement maker from Snehal Creation. 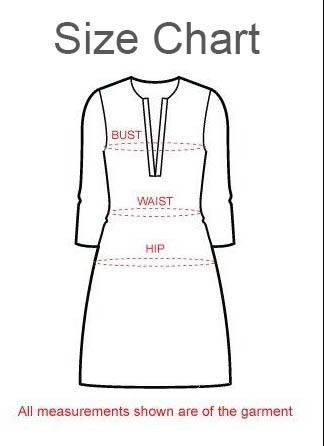 This tunic with full sleeves and a ban collar is made out of raw silk fabric. Elegant sequin motifs cover the neck and shoulder area of the tunic along with some space around the sleeve cuffs. Dawn this beauty and have everyone drooling!